Hi Lollipop fans. A happy Memorial Day to those celebrating that. 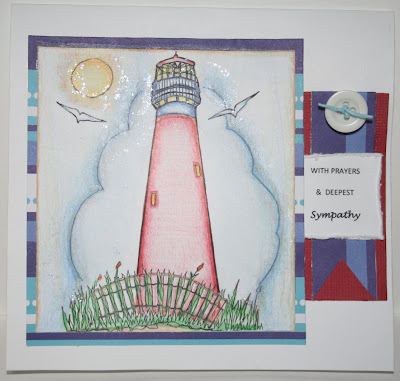 In observance of Memorial Day, our challenge is to make anything in memory of, such as a sympathy card, scrapped page in loving memory, etc. We are sponsor free this week but will still be announcing the Top 3 next Sunday. Now here's what our designers have for you. It's time to announce this week's Top 3 for our Make a Splash challenge and for this week's randomly chosen winner for the prize package offered up by Sparkle Creations Rubber Stamps. First off, our Top 3. 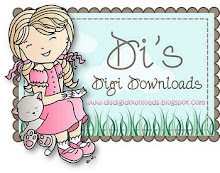 Winners, please grab the blinkie from the sidebar and display it proudly on your blogs. Thanks to all who played along. We loved seeing your water creations. 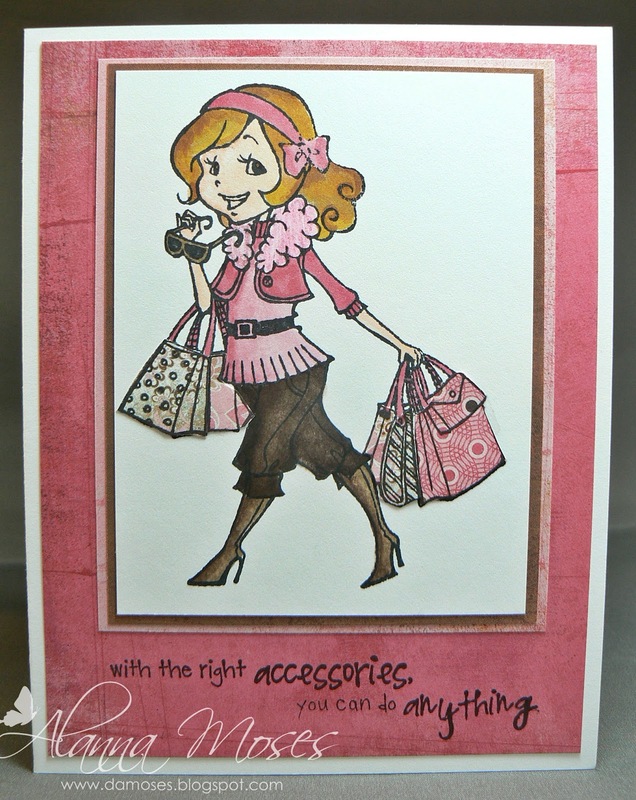 And the winner of the 2 rubber stamps from Sparkle Creations Rubber Stamps is #10 -- Mandy. Mandy, please email lollipopcrafts@gmail.com with your full name and address to claim your prize package. Another big thanks to all the players who make this challenge blog a success and to our wonderful sponsors, specifically Sparkle and Sparkle Creations Rubber Stamps this week. We'll be back tomorrow with another challenge so make sure and come back then. Well, it's that time again!! It's the time we get to highlight some of the projects submitted that didn't get chosen but made it even harder to chose!! Well, this week - I'm all over the map with style!! First is this Communion card - the colors and the image is just spectacular! 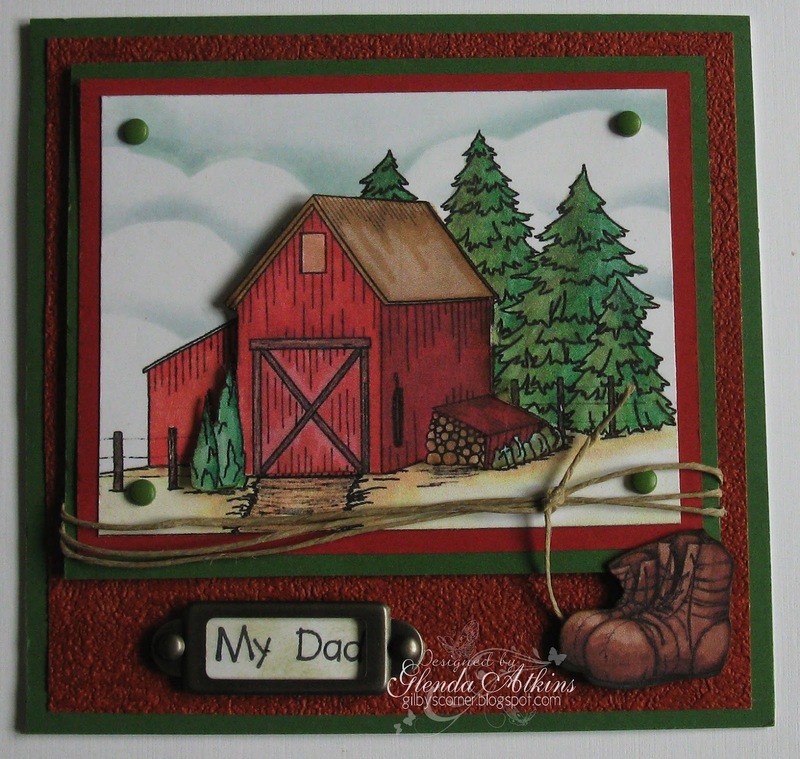 This card I chose for the earthiness but yet so much detail - the color combination screams "masculinity"!!! Well, now this card just says it all when you look at it!! Mo has some spectacular images - fun!! and last but not least - Hope Jacre really rocks it with one of her own images! 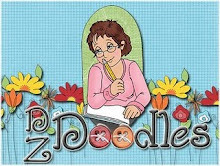 Check her out - you'll love her work!! 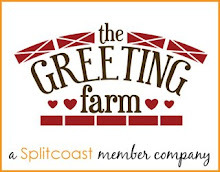 Well fellow crafters - thanks for popping in and leave a little love on these lovely ladies sites!! We all know how much work we put into our blogs and projects!! We appreciate each and every one of you!! Keep crafting people!!!!! Alanna here bringing you this week's sponsor spotlight. Our fabulous sponsor this week is Sparkle Creations Rubber Stamps. Here's a bit about them. Yes...Sparkle is my real name. I'm half Hmong and half Chinese. My ethnic names translate to shiny light, hence why my American name is Sparkle. I was born and raised in Portland, Oregon and graduated from Oregon State University in 2004. Soon after, I moved to Denver, Colorado. In 2008, I moved back to the Pacific Northwest and am now happily living in Maple Valley, Washington with my husband, Brent. I have been crafting since I was a child, but seriously crafting since I was 16. I took a 4 year break while I was away at college, but started right back up again after graduation. I started as a scrapbooker, though over the years I've turned into a cardmaker and that is mostly what is on my blog. Brent and I opened our own stamp company, Sparkle Creations Rubber Stamps, in July 2010. 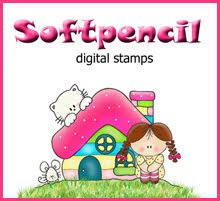 We are selling cute and whimsical rubber stamps of darling little boy and girl images. You can our online store at: http://www.sparklecreationsrubberstamps.com/. This week's randomly chosen winner will receive Charlotte with Rose and Turntable Josh -- what an awesome prize. 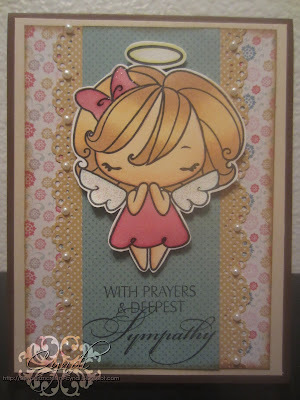 And now for some cards from the DT and some of Sparkle Creations DT using these adorable images. There's still plenty of time to play along with this week's make a splash challenge. Click here to link up your entry. Thanks for stopping by today and have a great day! Hello everyone! 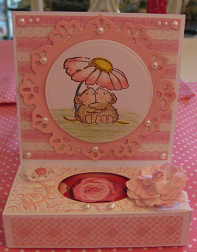 Welcome to today's new challenge here at Lolllipop Crafts. 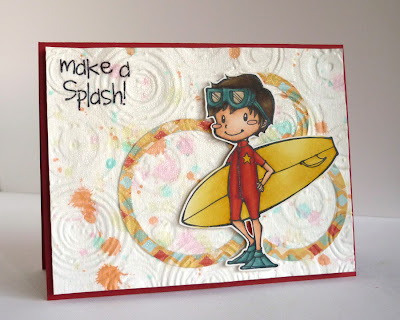 With the warm weather here it is all about keeping cool and what better way then with some water...so our theme this week is Making a Splash. We would love to see some kind of water on your projects....it could be raindrops, puddles, pools, the ocean anything like that! We have a new sponsor this week which is Sparkle Creations. Alanna and her team will have more on them for you on Wednesday with our sponsor spotlight. Here are some ideas with this week's theme from my team. We look forward to seeing your great projects this week. A big thanks to all who played along with this week's Just for Him challenge. 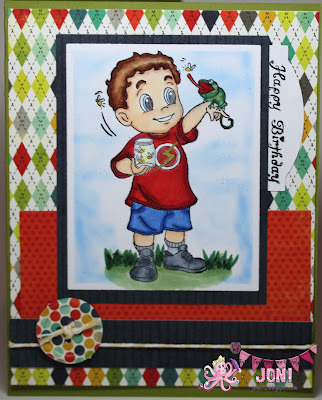 There were so many wonderful entries and I've got several ideas for future masculine cards. I'm pleased to announce this week's Top 3. 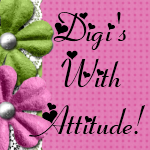 Winners, please grab the blinkie from the sidebar and display it proudly on your blogs. 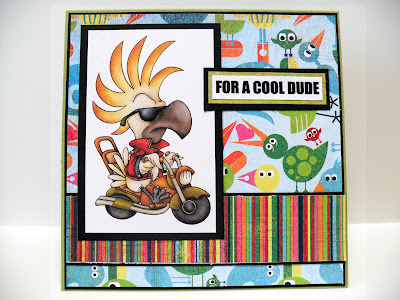 And now for this week's randomly chosen winner for 2 digi images from Karber Stamps. #12 -- Renee B, you are this week's winner. Renee, please select your two digi images from here and then email lollipopcrafts@gmail.com to claim your prize. A big thank you to Karber Stamps for being such a wonderful sponsor this week. 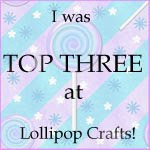 Make sure to come back tomorrow for a new challenge and a brand new sponsor of Lollipop Crafts. Until then, crafty hugs! ahhh, brings make those memories when Grandma or Mom knitted for us. 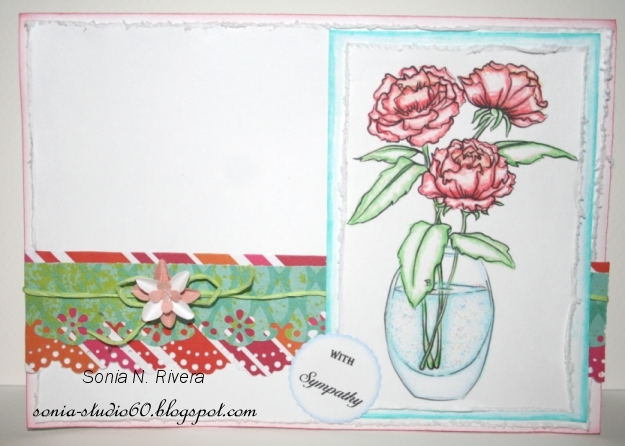 Gorgeous card and lovely color combo! LOTV images are one of my favorites! 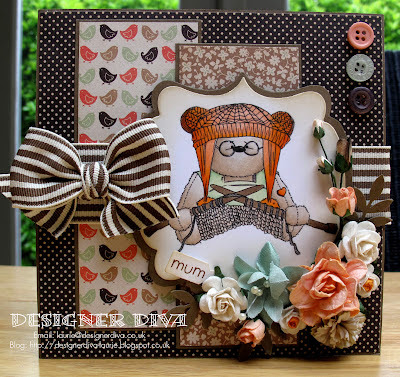 Beautiful easel card with lots of details and dimensions! Love the letter beads for the sentiment! 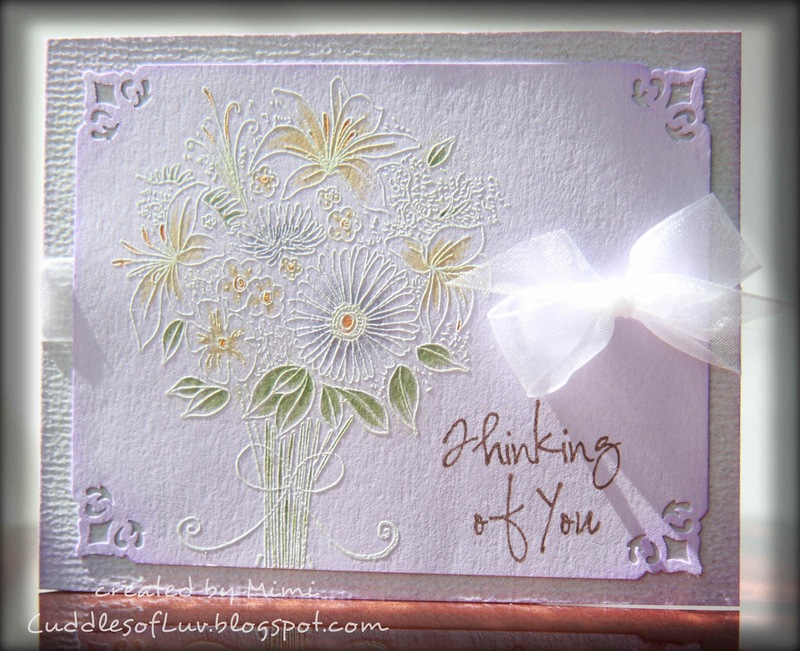 Elegant card with a beautiful image. 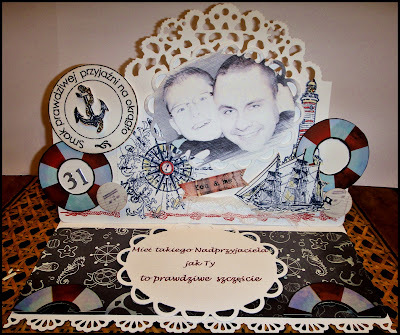 Lots of pearl details, even handmade flowers with pearls inside! 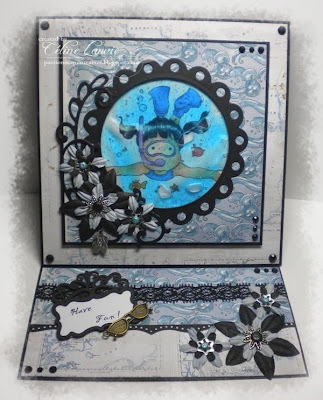 Beautiful layout with all the whimsical fairies! Gorgeous colors and beautiful lace trim! It says it all... Thanks for all you do! Vibrant magenta flowers perfect with the adorable Tilda in pink! Thank you everyone for playing along our weekly challenges! 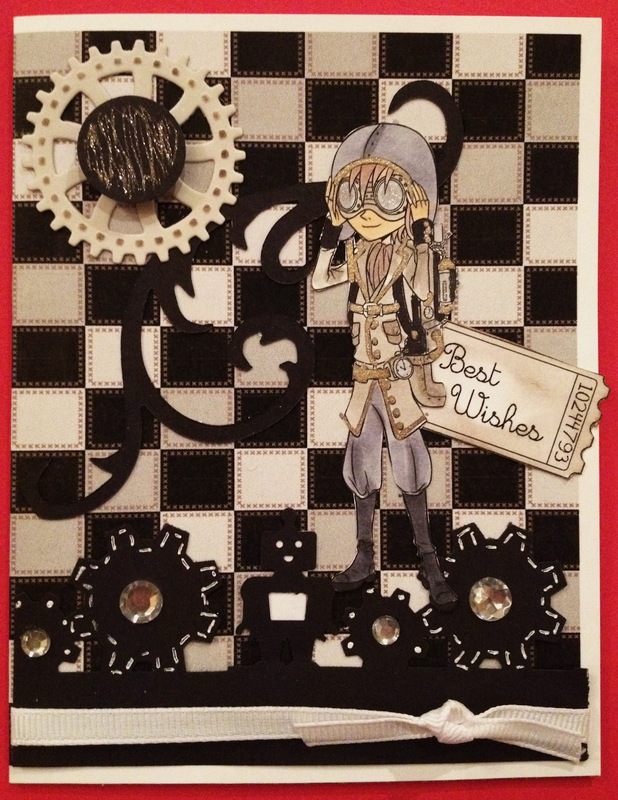 Stop by our feature players' blog, there's more to see of their wonderful cards! Hope they've given you some inspiration to join us with our current challenge. 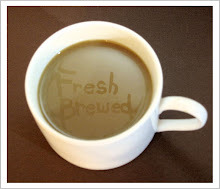 Welcome to mid-week everyone! Here in Canada we are living for the weekend as it is a long weekend for us. 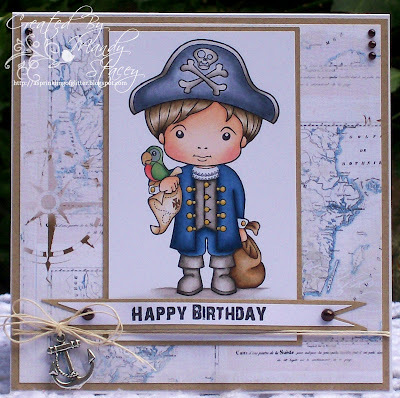 This week we are happy to highlight Karber Stamps for you. "KARBER is a company created by Karla Barradas and Berenice Rendon. All began for passion to art and crafts, as friends we decided to join our different talents. 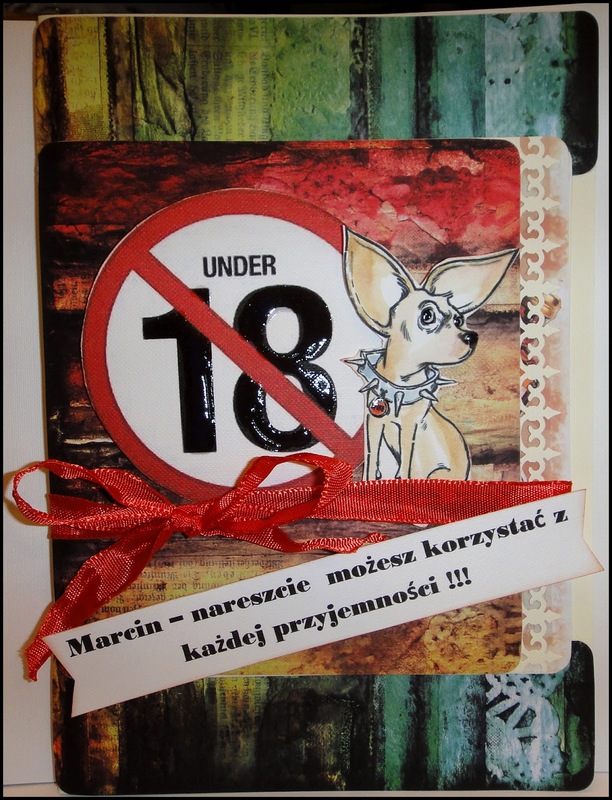 In July 2010 that journey would lead us from hobby to a business and “Karber Digital Images” was created. 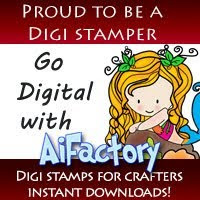 Recently, Karber Digital Images expanded to offer it's customers rubber stamps available through Sparkle Creations Store (http://www.shop-sparklecreationsrubberstamps.com/category/karber) and therefore, have changed their name simply to Karber Stamps. Visit Karber Stamps store at http://www.karberdigital.com/ or their blog at http://karbers.blogspot.com/. This week's winner will be receiving two images of their choice from Karber. My team has some great inspiration for you showcasing Karber's great images. 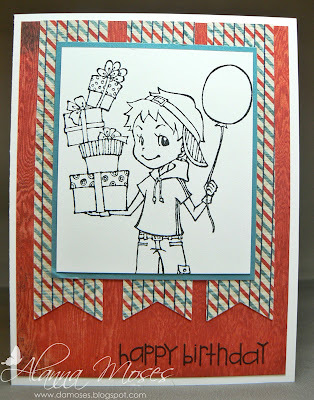 It's time for another great challenge at Lollipop Crafts. This week, our challenge is Just for Him -- make a masculine card. 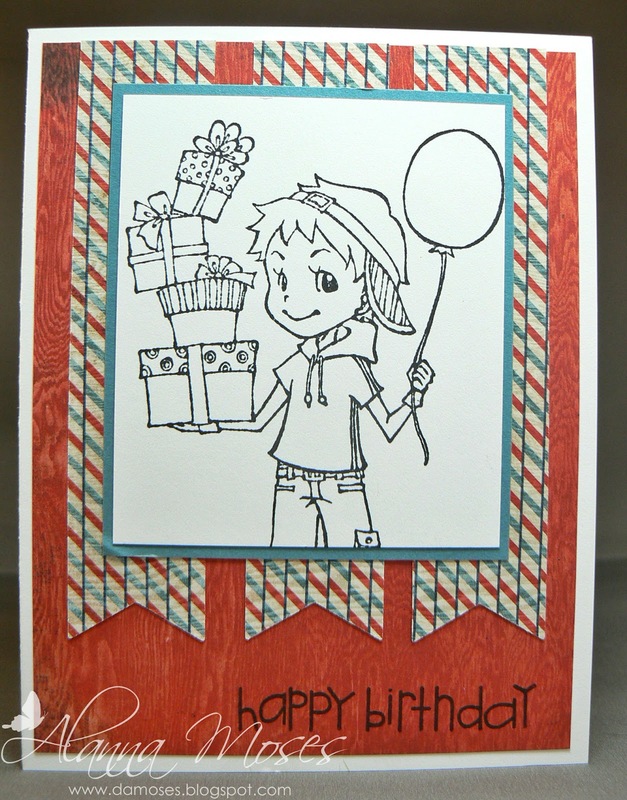 These can often be challenging but I know our Lollipop fans can tackle this card making area. 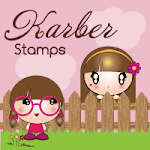 Karber Stamps is our sponsor this week. 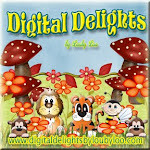 This week's winner will receive 2 free digi images. You'll hear more about them on Wednesday from Tammy's team. In the meantime, here is some eye candy from some of our designers. Happy Mother's Day! We hope that all you mom's are enjoying this special day with your loved ones. 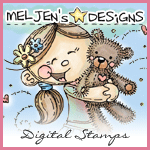 A big thank you to Meljean's Designs for sponsoring our challenge this last week. 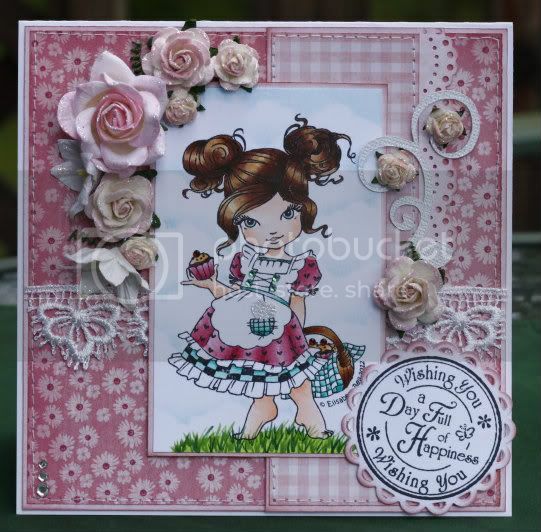 Please contact us at lollipopcrafts@gmail.com with your 4 images of choice and we will pass that along for you. congratulations ladies. Please grab your badge from the sidebar. Thanks to everyone for playing along. Join us tomorrow when Alanna and her team will have a brand new challenge for you! Well, these are my choices and I know you can see why - there is subtle beauty - charming creativity, details abound and everlasting cuteness! Thanks ladies so much for your efforts - you all did so great and it was so difficult to pick just a few! Rock on Crafters! !